Hair loss begins from ages between adolescence to 40s & 50s. But still older people feel confident to have hair transplantation as compared to younger generation. Because they think they are seldom old for that, especially in case of men. Need a modest hair growth instead of full outcome, so to cover their little deficiency. 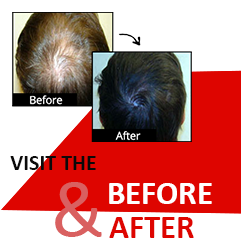 Good amount of donor hair available from their scalp to determine hair-restoration result. If donor hair is low then doctor advises to not have hair treatment. Undergo minimum no. of hair grafts to give a decent appearance. Achieve frontal hairline with strategic placement of grafts. Discuss medical conditions of patient prior hair transplantation. of treatment sessions to set as per patient medical condition if suffering from heart problem, diabetes, high BP, etc. so to reduce stress levels. Scars will appear for certain duration. Full recovery takes some time. Medications to use after surgery. All options must be mutually accepted by doctor & patient before performing a hair transplant. Many cases have appeared to show older men have real outcome of hair transplant that also has cases with reverse effects. Besides hair restoration adequate amounts of daily protein and hair vitamins help a patient to remain nourished regardless of their ages.